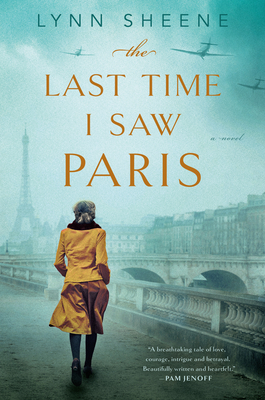 Lynn Sheene is the author of The Last Time I Saw Paris. She attended University of California, Santa Barbara, and worked as an environmental and science writer before becoming a full-time fiction writer. She resides in Southern California with her family. Claire most prized possession when she left Manhattan was her Cartier jewelry. Do you have a piece of jewelry that holds meaning for you? Is its worth measured in monetary or sentimental value? Have you inherited an antique or valued treasure from a loved one that carries important memories for you? The book describes the elaborate floral displays that Claire and Madame Palain created for the Nazi-occupied hotels, as well as the flowers tumbling down a garden wall and simple stems in a bucket that Claire loved. How do flowers take on different characters in the book? What do they mean personally to Claire? Do certain flowers hold meaning for you? Did you find elegance in Claire’s expensive Manhattan brownstone or the simple wine and bread dinners Madame Palain served, or both? Give other examples of elegance from the book. How do these different examples each representelegance? In today’s society, do you believe people define elegance based more on material things, or in more recent times do you believe perceptions have changed? Madame Palain told Claire that “Elegance is in the details” the first night they met. How did Madame demonstrate this belief in her daily life and in the way she ran La Vie en Fleur? Did Claire embrace this way of living? How did it shape her actions and beliefs? Have you had a similar mentor in your life? Claire went to Paris to change her life. She did, but was it in the way she expected? Where in the story did you see a dramatic shift in Claire? How many people were touched by Claire’s change of character? Have you had an experience that transformed your life in unexpected ways? How does Claire’s changing perception of Grey mirror her own shifting consciousness? Did your opinion of Grey change alongside Claire’s? How is he different from other men that Claire has known? What was it about Grey that drew her in? Why did Claire assume that the Oberons would take in Marta and Anna? Would you risk your safety and open your home to children in peril? Odette pressed Claire to put her life in danger to save the resistance leader, Kinsel, and justified it by saying, “We are in a war, Claire. I must sometimes act as a soldier, not as a friend.” Could you ask your friends to risk their lives in an attempt to fight a larger evil? How did Claire’s opportunistic character make her uniquely qualified to spy for the Resistance. How did that same trait make her disadvantaged? What historical details of life under the Occupation were you most surprising or moving for you? In what ways do novels provide a means for understanding history?